While competition is fierce, the bottom line is we need trucks. As the economy grows, increasing shipping volumes are heating up supply chain and logistics activities. In the trucking sector, emerging customer demands, workforce shortages and regulatory changes are among the key issues expected to affect the industry over the next few years. As shippers search for the most cost-effective and efficient method of transporting goods, analysts at Stout Risius Ross Inc. (SRR) point to rising diesel fuel costs and increasing shipping rates as drivers of increased logistics competition from the railroad industry. Despite these difficulties, trucking seems poised to join the recovery, thanks in part to accelerated innovation, new services and investments in technology to streamline operations. Although rail and intermodal have experienced a surge in growth, trucking still remains the dominant mode of freight transportation in the United States. According to recent data from the American Trucking Associations (ATA), trucks moved 9.4 billion tons of freight, or 68.5 percent of all domestic shipments in 2012. Last year, trucking generated $642.1 billion in gross freight-related revenues, or 80.7 percent of the nation’s freight bills, an increase from 2011. Class 6-8 trucks traveled 137.2 billion miles in 2011 — up 4.7 percent from the previous year. 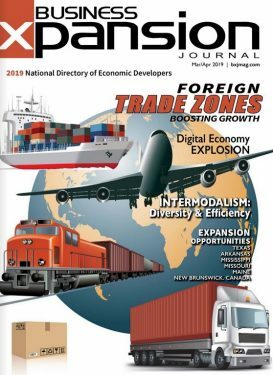 The Journal of Commerce reports that long-haul truckload and regional less-than-truckload carriers found a balance in supply and demand, and many gave up their past practice of chasing unprofitable freight. Future growth is expected to increase at approximately 3 percent annually through 2017, in line with the overall economy. Federal regulations such as new hours-of-service rules could create new capacity strains on the industry. Furthermore, as capacity tightens, more shippers are turning to intermodal rail. A significant shortage in truck drivers is also estimated to double from about 25,000 to possibly as high as 50,000 by the end of 2013 as potential drivers leave the industry for the rebounding construction sector. The ATA also highlights the pressing need for new equipment, which could force some fleets out of operation. The average age of a Class 8 truck is on the rise, leading to increased maintenance costs, while new equipment has gotten more expensive due to federal rules on engines. Another serious headwind is the volatility in fuel costs which makes trucking less competitive, especially for producers and shippers of spot loads and large-scale industrial goods. “When a logistics firm performs feasibility studies in response to big project RFQs, they will closely consider the costs for trucking the products to ports,” says Kailey Euceda-Vilches, business development manager, Rickmers-Linie (America) Inc.
Also, the more a shipper handles the cargo and the more “omnimodal” the project becomes, the higher the risks and costs, she explains. For companies considering trucking as a freight transportation option, the ability to limit handoffs and intermediate transfers is an advantage. She also recommends taking a close look at trucking tariffs and pricing structures that are highly variable by market and product type. To expand revenue and control costs, trucking companies are stepping up the adoption of technology and new services. For example, Crowell points to J.B. Hunt — one of the largest transportation logistics companies in North America — as a leader in this movement, especially with its “Final Mile” service. “FedEx does a great job delivering small packages to the front door but I didn’t see any major carrier taking large bulky items into the home and assembling or installing them for the manufacturer or retailer. So we started doing it,” said Nick Hobbs, president, Dedicated Contract Services division of J.B. Hunt, during a retail supply chain conference earlier this year. Communities and the trucking industry are also benefiting from the boom in the energy sector along with increasing activity in food, retail, manufacturing and housing. Anchoring the trucking industry’s role in Arkansas’s agricultural and industrial economy are industry leaders ABF Freight System Inc., USA Truck and J.B. Hunt. Road infrastructure is widespread and includes US-412, I-40, I-44, I-540 and the future I-49. Long-term goals for the area include the extension of roads and rail to the Northwest Arkansas Regional Airport to create a mixed-use, multimodal center serving Little Rock, Tulsa, Kansas City, Dallas and points beyond. In Michigan, the Lansing region is becoming a key global logistics hub as part of the state’s growth strategy. Port Lansing now makes it more convenient for transporting and storing freight, along with air cargo and FCL or LCL freight which needs to travel via truck. Bolstering those capabilities is the recently-launched Port Lansing Global Logistics Cooperative, offering customs brokerage, freight forwarding, consolidation and containerization, logistics operations management, trucking and warehousing. Local infrastructure includes an international airport and the 48,000-square-foot Port Lansing Cargo Warehouse within close reach of I-96, I-69 and US-127. Another major asset in the area, adds Case, is Michigan State University’s Department of Supply Chain Management. Over in North Carolina, the supply chain and logistics sector is fueling growth tied to growth in local manufacturing. Greensboro is home to one of the highest concentrations of trucking companies in the Southeast and one of the few cities to have both a FedEx express and ground hub, as well as a UPS ground hub. The community — located squarely at the intersection of I-40, I-85 and future I-73/I-74 — also offers convenient access to I-95 and major highways, including US-29, US-220, NC 68 and NC 421. Another upcoming investment expected to make the Piedmont Triad region a major East Coast logistics and distribution center is the North Carolina Center for Global Logistics, expected to open its doors this fall. As the economy once again picks up speed, fuel costs, driver shortages, regulation and the growth of rail and intermodal have put pressure on pricing and profits in the trucking industry. However, trucking is far from down and out. Many shipments — such as produce and other spoilable goods — are time-sensitive or require door-to-door service. Additionally, the adoption of just-in-time delivery among manufacturers has differentiated trucking from rail, since rail cannot accommodate many small and precisely-timed shipments. One area where investing in heavy duty logistics services is leading to supply chain success is at the Kansas Logistics Park located in Newton, Kan.
“We’re a very heavy manufacturing kind of county where we move a lot of stuff around and have a lot of space. So although the wind industry is how we first introduced the logistics park to the market, it’s no longer solely a wind industry park. We’re tailoring our transportation and logistics to opportunities in energy and heavy manufacturing,” says Mickey Fornaro-Dean, executive director, Harvey County (Kansas) Economic Development Council. The 400-acre park sits directly at the crossroads of interstates 35 and 135 and Highway 50 in Kansas. For trucks, access from I-135 was improved via several roadway projects, whose pavement and roadway geometry were designed to accommodate enormous trucks carrying heavy components. “I know that fuel costs are an area of concern,” Fornaro-Dean says. “But although we’ve seen an increase in unit trains and are going to continue to hear that rail is the way to go, at some point you simply have to make certain stops, which means trucks. I have not really seen a slowdown in traffic, so we’re very encouraged by the long-term outlook here. To learn more, visit www.kansaslogisticspark.com.